OSAKA - Voters in 25 Okinawan cities, towns and villages went to the polls Sunday to elect assembly members ahead of the Sept. 30 gubernatorial race, including the closely watched match in Nago, where the results failed to deliver a clear verdict on a controversial U.S. military base. 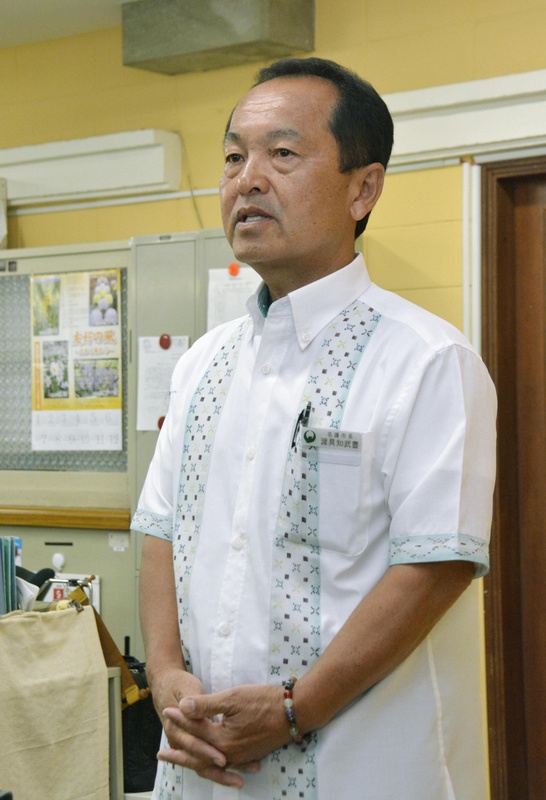 Allies and opponents of Nago Mayor Taketoyo Toguchi each won 13 of the chamber’s 26 seats. But that includes two seats won by candidates backed by Komeito, which has indicated support for Toguchi but opposition to an offshore facility to replace U.S. Marine Corps Air Station Futenma in the city’s Henoko district. If Komeito’s representatives officially oppose the Henoko relocation plan once the new assembly is convened, the anti-Henoko faction would command a majority with 15 seats. 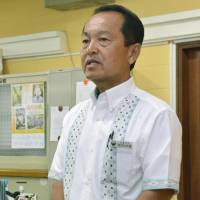 Toguchi has been vague about his position on Henoko, saying he is closely watching the various legal measures being taken by those opposed to the base plan, including the Okinawa Prefectural Government. On the other hand, he defeated a staunchly anti-Henoko mayor earlier this year who had the backing of the anti-base coalition that had supported former Okinawa Gov. Takeshi Onaga, who died last month. But how the Nago Municipal Assembly election will affect the gubernatorial contest is unclear, some Okinawans say. “It’s not just about the numbers being reported now. The number of those who are pro- or anti-Henoko could change after a new assembly head is chosen,” said Jinshiro Motoyama, head of the Henoko Referendum on the Construction of a new U.S. Base in Henoko. Satoru Kinjo, a spokesman for the Liberal Democratic Party’s Okinawa chapter, said his party was pleased with the results. He also said the makeup of the assembly could change depending on who ends up being chosen to lead it. “The opposition parties will probably end up with only 12 members. One winner said during the campaign that he opposed Henoko but that he supported the mayor,” Kinjo said. For his part, Toguchi told reporters in Nago on Monday morning that the election results were a boon. “We can consider the results to be an asset to the governor’s election,” he said. The race for governor, which kicks off on Thursday, will center on the base relocation issue. While Okinawan media have reported that up to 10 people may run, the main candidates are Atsushi Sakima, the former mayor of Ginowan, and Denny Tamaki, a former Lower House lawmaker. Sakima has strong support from Prime Minister Shinzo Abe and the central and local chapters of the LDP, as well as Komeito and Okinawan businesses expected to benefit from the Henoko project. Tamaki is Onaga’s designated successor and will run against the Henoko project with the support of traditional anti-base activists, major opposition parties, labor unions, and many small and midsize Okinawan businesses.